A beautiful, powerful music video for ‘At The End of The Day’, produced by Dw. Dunphy of Introverse Media, has just been released by Sills & Smith! ‘At The End of The Day’ is the closing track on the band’s latest studio album ‘Maps – Burned or Lost’. 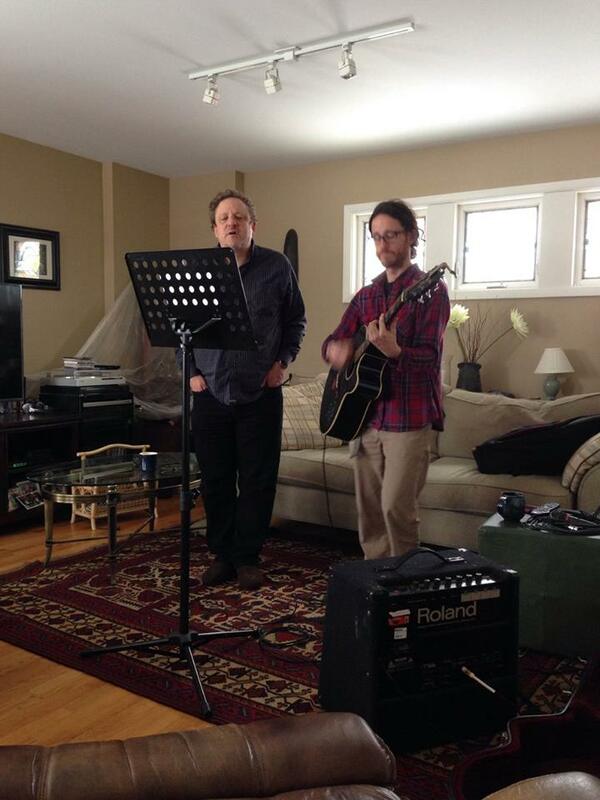 Sills & Smith, a project of singer/songwriters Jeremy Sills and Frank Smith, has six albums of original music. 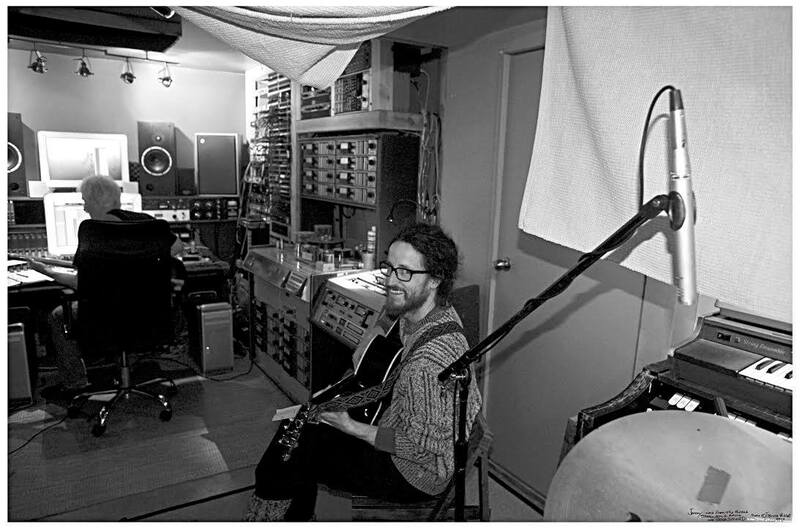 Maps – Burned or Lost was recorded by famed producer Phillip Victor Bova at Bova Sound in Ottawa. The album is an epic musical journey, with 14 songs and close to 70 minutes of music. 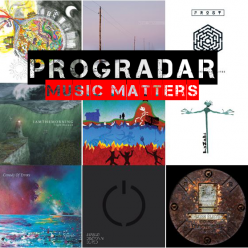 The music careens melodically between pastoral folk, to trippy indie rock, to progressive rock. 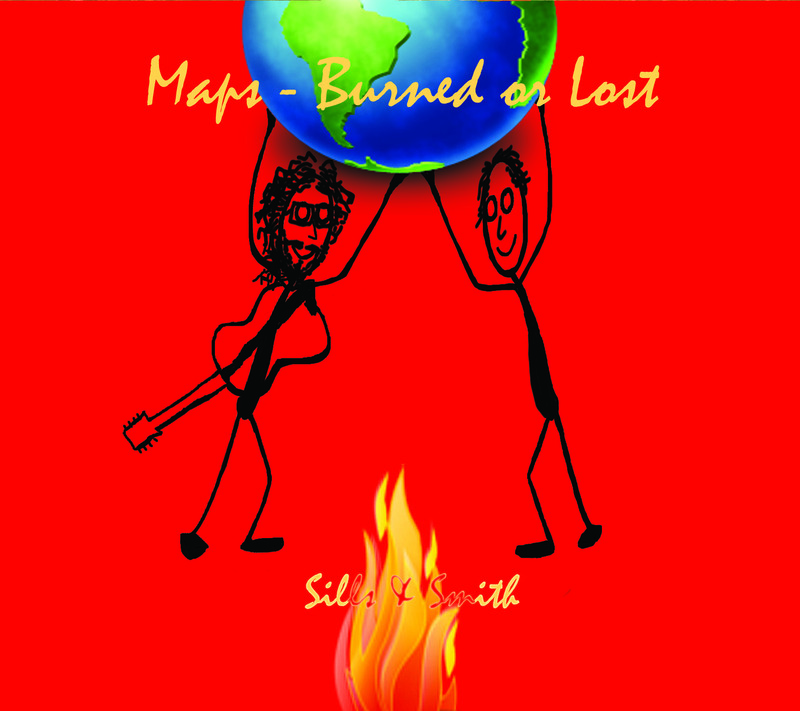 Maps -Burned and Lost is available world-wide through numerous retailers including: Apple Music, Bandcamp, Spotify, Amazon and in select box stores. I think Mr Zappa hits the nail very much on the head with that quote, life can become very monotonous without something to lift it and that something, for a lot of people, is music. 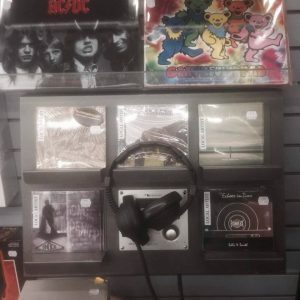 Now it’s well known that I’m not a fan of the repetitive modern music that makes up the charts nowadays but, if that is what people listen to to make the drudgery of modern life better then who am I to tell them what to listen to? For me, and many others, it is the well crafted song, the collection of perfect notes that resonate with me and put a smile on my face or help me get through difficult times in my life. I was introduced to Canadian band Sills & Smith, a project of singer/songwriters Jeremy Sills and Frank Smith, a couple of years ago by their previous release ‘Echoes in Time’ and was immediately hooked. Since thenFrank has kept me updated on the progress of their sixth album ‘Maps – Burned or Lost’ which was released on the first day of the new year. 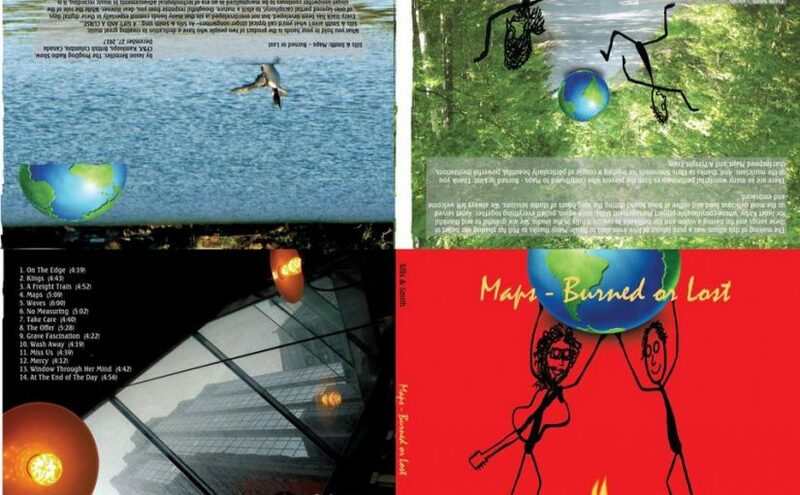 ‘Maps – Burned or Lost’ sees Jeremy and Frank take the next step in their musical evolution and this new collection of 14 delightfully involving songs takes you on a wonderfully engaging musical journey. There’s the slow burning quality of album opener On The Edge, quite an indictment of the world we live in with its scathing, pithy lyrics and edgy guitar work, the solo just drips scorn and disdain. Frank’s deep and distinctive vocal is as good as ever on this clever track, a superb start to proceedings. There’s a melancholy grace to Kings with its deliberate opening and Frank’s sombre vocal delivery. A song with perhaps a lofty self-important tone, a nostalgic take on days gone by, Jeremy’s lighter vocal is a well judged contrast and the music is just sublime. 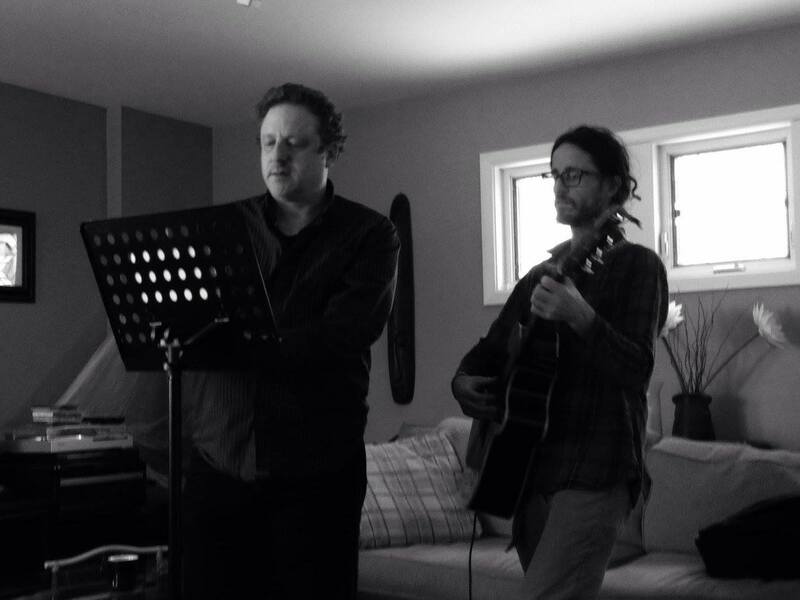 Frank and Jeremy have surrounded themselves with a stellar cast of musicians that lend the whole album an air of class and sophistication. A Freight Train is a mournful bluesy feeling piece of music, slow burning, calculated and thoughtful with a moody hammond organ providing a layer of gravitas and solemnity. There’s a soulful core to the music and the vocals that seem to bleed a touch of despair and despondency, a properly moving song. A wonderful song from start to finish, the wistful folk feel to Maps gives it a timeless grace from the humble vocals to the superb unpretentious chorus. This is music written so that every note, every word has its place and is as important as any other, it is storytelling of the highest calibre and it moves me on a most personal level. That carefree, easygoing atmosphere seeps into Waves, a song where the introduction just seems to take you to a place of warmth and love. The chorus is as light as a feather, the music has a charm and grace that leaves you spellbound. Frank’s contemplative vocal opens No Measuring, a thoughtful song with a plaintive, slightly sad feel to it. There’s almost a hushed aura to the music with the elegant piano and the toned down drums. 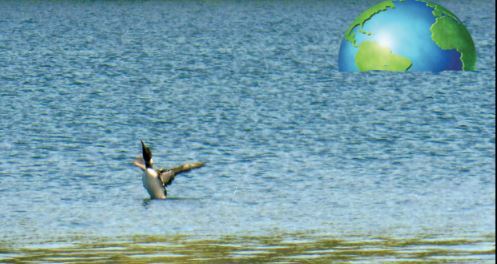 Contemplative and pensive with a flighty flute playing, it leaves me in an introspective frame of mind. The elegant mandolin that opens Take Care joins with Jeremy’s vocal to give a feel of fragility and beauty and the harmony with Frank adds even more intangible charm. A pared back and willfully sparse song that implores you to take care of yourself with a rarefied dignity. A proper country feel pervades the opening of The Offer and Frank even has a touch of Johnny Cash to his voice, deep and meaningful, it’s a great counterpoint tot he lightness and elegance of the chorus and the slow steady pace of the track lulls you into a place of calm and reflection. Now onto possibly the most upbeat and funky song on the album, there’s a feelgood atmosphere to Grave Fascination with its edgy guitar and offbeat drums that really gives you a lift. Nothing flashy or garish, just a great song that is delivered with confidence and bravado and has you tapping your feet and nodding your head in unison with the beat. The excellent singer/songwriter vibe returns on Wash Away, Frank’s voice leading the contrite, almost regretful song with the music underpinning the song in a respectful manner. Again, the pared back quality adds to the track, especially on the great guitar work. Alternative and indie in its delivery, Miss Us is a song with an acerbic edge, especially on the biting lyrics. I love the tightly performed guitar solo and the rhythm section that runs throughout the track. This song is a real release of pent up energy with its almost punky, staccato emphasis and it works brilliantly. Mercy begins with a dreamlike atmosphere touched with a feel of melancholy, especially when Frank’s vocal begins. There’s a forlorn mood that settles on the song, a pensive and sombre mood that never breaks right to the close. Window Through Her Mind is another example of the songwriting skills of Frank and Jeremy. The wonderfully ethereal music is paired with superb vocals again telling a story of nostalgia and remorse, one that demands your attention and draws you in to sit enthralled as it plays out before you. 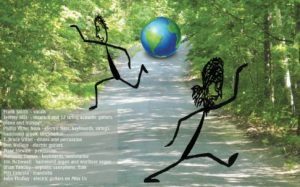 All good things must come to an end and ‘Maps – Burned or Lost’ closes with At The End of The Day an allegorical tale of life as it is today. The graceful and harmonious music and telling lyrics seep into your very soul, I can imagine myself listening to this song with a glass of red wine in my hand, contemplating life, the universe and everything. It’s not a demanding listen but it is one that does require your attention. 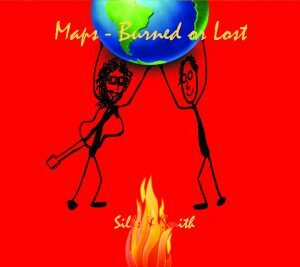 Frank Smith and Jeremy Sills have delivered their most profound musical work yet, ‘Maps – Burned or Lost’ is a wonderfully involving collection of songs about love, life and loss that is very relevant in this turbulent world we live in today. You can lose yourself in the well wrought words and the excellent music and come out of the other side in a much better place than you started and that’s what I want from my music. 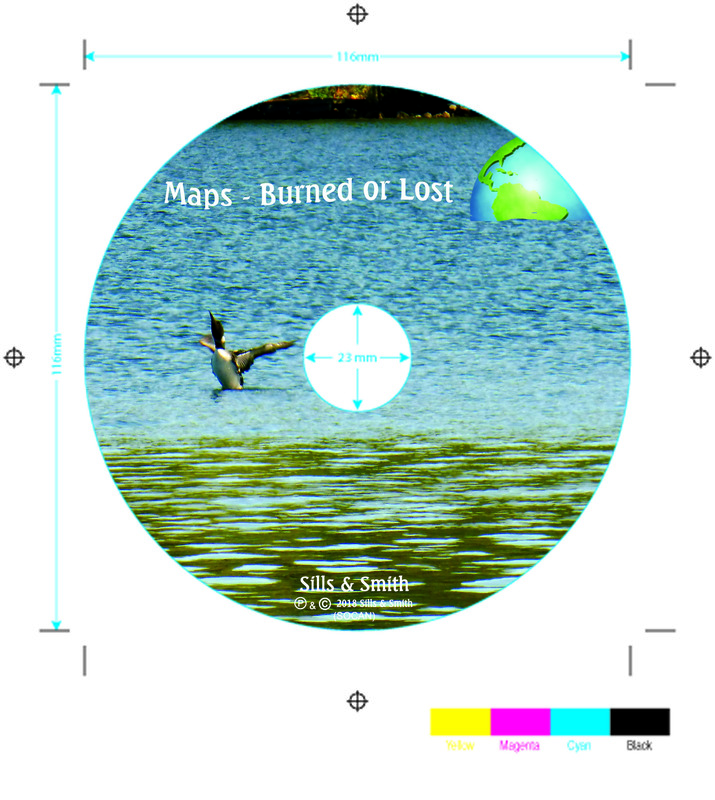 Here’s the music video for Maps from the upcoming Sills & Smith studio album ‘Maps – Burned or Lost’ that has just been released on YouTube. The beautiful video was created by California painter Peter Gullerud. Featuring the talents of Jeremy Sills, Phillip Victor Bova, T Bruce Wittet, Don Wallace, Jim McDowell, Marianne Dumas, Brian Tansley and Frank Smith. ‘Maps – Burned or Lost’ will be released world-wide in January 2018 on iTunes, Amazon, Bandcamp, CD Baby and in select box stores! You’ve read my reviews before, most of the time I search for an inspirational quote about music. How music affects me on a personal level or how music can just make your life worth living and this world we live in a much better place to be. Well, this time, I came up with the quote all on my own. I honestly feel that my life would be so much poorer without the impact that the music I listen to has on it. Don’t get me wrong, I really cannot connect with chart music but there are those out there that take their daily fill of it and it makes their world better. I just feel that music that is written from the heart and because of the artists love of music (and not necessarily for commercial gain) has even more power to affect your life and sooth your soul. It transports you temporarily to a world of your own imagination, where you can go to recharge your batteries and let the tiredness of the daily grind wash away. 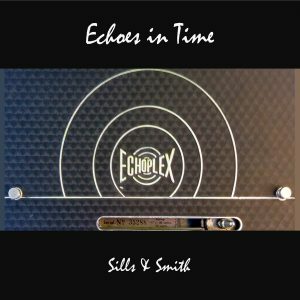 Well it happened again, this time it was an email from Frank Smith, of Canadian artists Sills & Smith, asking me if I would like to have a listen to their music with a view to reviewing their last release ‘Echoes In Time’, which came out at the end of 2015. I duly did and you may have gathered, by the simple fact that I am writing this review now, that I really liked it enough to want to explore more. Sills & Smith, led by Ottawa singer-songwriters Jeremy Sills and Frank Smith, has independently released five studio albums of music that boldly blend and bend elements of folk, alternative rock, progressive rock, with hints of blues and jazz. The new album ‘Echoes In Time’ features 13 powerful, melodic original songs; the boldest Sills & Smith musical adventure to date. ‘Echoes in Time’ features a stellar cast of players, with the core group: Frank Smith (words/music, vocals); Jeremy Sills (music, vocals, acoustic guitars, piano, trumpet); Phillip Victor Bova (recording engineer/producer, electric and acoustic bass) and T. Bruce Wittet (drums/percussion). Brilliant supporting musicians include: Kevin Breit – electric guitars and mandolin, Blair Michael Hogan – electric guitars, Roddy Ellias – electric guitar, Jim McDowell – organs, Don Wallace – electric guitars, Tara Holloway – vocals and Linsey Wellman – saxophone. Grace Smith designed the beautiful, four panel digipak CD edition of the album. The opening track We Are Receiving is a delicate and winsome beauty. The tender guitar and plaintive trumpet give the song a beautiful fragility, a gossamer thin veil that is pierced by the low down vocal of the verse. The harmonised chorus is a study in refinement and the use of the polished mandolin is genius. It’s almost like an upmarket folk song and really leaves me feeling relaxed and in a state of wonderful reflection, utterly delightful. Altogether more serious and contemplative, Slicing Up The Clouds is sombre and melancholy in feel with mournful vocals and an almost funereal rhythm from the drums and the bass. There’s a darkly delicious undertone to the track, one that drags you into the dreamscape unable to resist. There is an overriding opaqueness to this song, a tenebrous feeling of walking down an unlit path, not knowing what is to come. The guitars have a real abrasiveness to them, insinuating themselves into your psyche and, as the song comes to its menacing close, I can’t help but feel slightly chilled and scared. The Chalice/The Blade is a really laid back song with some tranquil and serene vocals that are matched by the carefree and breezy guitar that runs throughout this enchanting track. This is music that is happy to just tread water, no particular place to go and no rush to get there, Calming and relaxing, you are invited to unwind and let yourself go. Sunny days and warm nights are what come to mind, a nostalgic look to the past when life seemed so easy. The guitar playing is brilliant, almost free-form and jazzy, leaving little notes of sophistication hanging in the air and the repeated chorus accentuates the aura of serene sophistication. The first thing that grabs you on One Step Behind is the incredibly emotive saxophone, the playing is just superb. There is a barely kept feeling that all is well to the outside world but, underneath, all could come crashing down. The wistful guitar and melancholy vocal have an ageless feel to them, a story long in the telling perhaps, and they keep your attention rapt on this pensive and thoughtful track. As it comes to a close I am left with the loudness of silence. That slightly disconsolate musing is carried over to They Don’t Come Knocking, another incredibly deep track that begs your understanding. The slow pace and deliberate vocal just add incredible amounts of meaning and the achingly elegant guitar speaks of decades of questioning and inquisition. There is no happiness here, just an eternal grace and fortitude. The Cimmerian shade is lifted slightly by the upbeat tempo of Reverberations with its 50’s sounding twanging guitars. The lyrics have a real feeling of Americana to them and I really find myself getting drawn into the stark joy that emanates from this song. There’s almost a feel of a more serious R.E.M (if that is even possible!) to this track, a grown up humour that underpins everything, keeping it in check. Hillbilly blues with a hint of jazz? Well, that’s about the best way I can describe the oddball delights of I Was Really Something, a song that has a real tongue in cheek irreverent humour running smack down the middle of it. The organ playing really gives it an almost vaudevillian tempo and vibe, it’s like Twin Peaks meets The Rocky Horror Show with a Gothic twist and I really like it, the vocals are great and the guitar just seems to have a mind of its own. The humour seems to take a back seat but that 50’s aura doesn’t leave. Echoes takes the impudence and wit of the B52s and covers it in lashing of black humour, especially that really catchy organ sound. The vocals are serious and monotone, giving gravitas but I can’t help smiling. The ability of Sills & Smith to effortlessly switch between sounds and genres is mightily impressive. Now onto the superb, dark hues of the bluesy The News. Again that slightly unreal ‘Twin Peaks’ feel persists, as if things aren’t quite what you think they are, the edgy, humourless vocal giving nothing away. What really stands out on this track is the outlandishly guitar playing, like blues on steroids and it gives the song a sort of modern western/mariachi soundtrack to it, added to the haunting organ note, it really is something. This is a track that I like to play with the lights right down low and at full volume, it is quite disconcerting but wondrously so and would grace any Tarantino film as it takes you into a world of modern fantasy. Listen right to the end and you will even hear the guitar go all Carlos Santana on you, utterly mesmerising. Time to go all R&B on us now, After The Smoke Clears is a really nice track with some great guitar playing and a captivating vocal. Clever, insightful lyrics delivered with heartfelt feeling give it some real class and the music has a real 80’s George Benson undertone with the wah-wah pedal working overtime. A lament to things lost but delivered with panache and flair. A folk song at heart, Is The Mirror Reflecting You ? has a really solemn vocal and pared back instrumentals that give it an austere dignity. Time seems to stand still as this refined track carries on its serene journey. The humble vocals and subtle music have an intangible depth to them and this song leaves your heart open and raw with feeling. The Sacred Valley has a noble grace to it, the pure and uncomplicated music and restrained vocal give an overall pastoral tone to the song. There is something to be said for uncomplicated music that wears its heart on its sleeve, what you see is what you get and this elegant track is exactly that. The simple sentiment that is at the heart of everything is one we can all relate to and this lovely piece of music will put everyone in touch with their innermost self. This intense and fascinating musical journey is brought to a close by Pick Me Up With A Song, a country/folk track that has hints of Dylan to it in the vocal and guitar. Simple, dignified and with a message that we can all take to heart, this song just seemed to have a calming effect on me and left me composed, relaxed and in a place I was exceedingly happy to be. Wherever you look, you will always find music that captivates and intrigues. 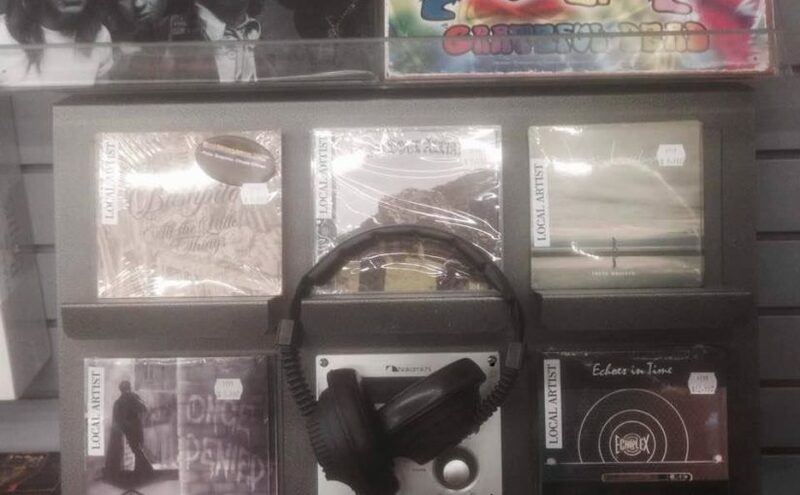 We now live in a world where superb music is the norm rather than the exception but some music will always stand out from the crowd, even if it is a rather impressive crowd. 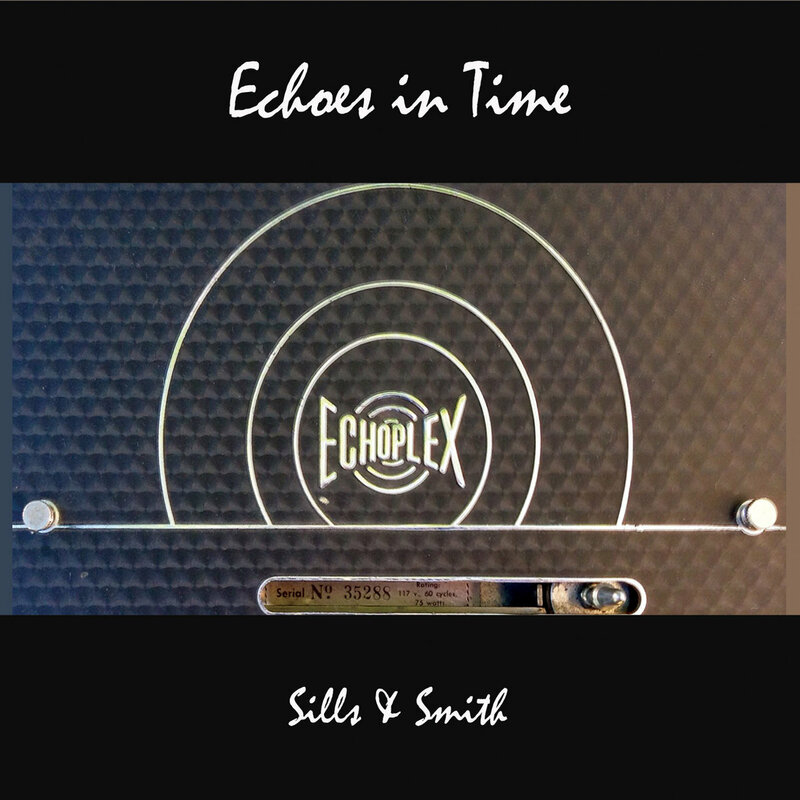 The musical capabilities of Sills & Smith are such that ‘Echoes In Time’ isn’t just a really good album, it is a great one and one that I must heartily recommend to any lover of great music and excellent songwriting.